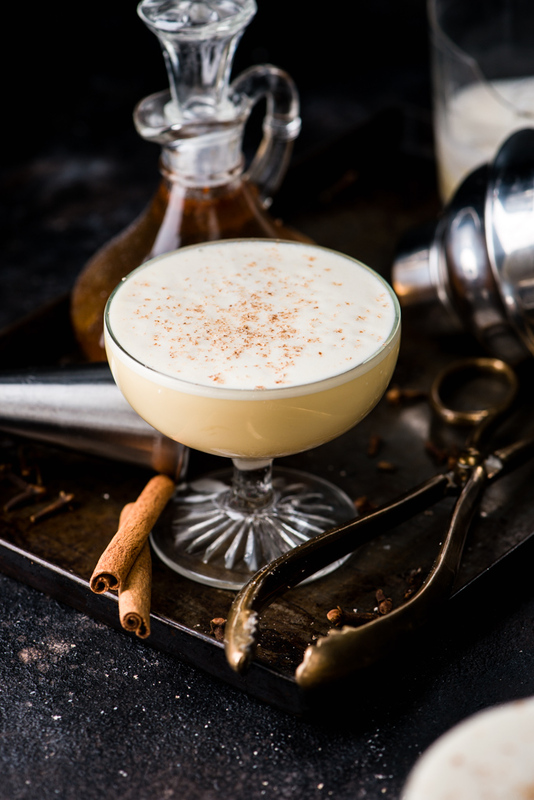 Christmas may be over, but that doesn’t mean Egg Nog has to end. Sure, they probably aren’t selling it at the grocery store anymore, but that isn’t the kind of egg nog you should be drinking anyways! 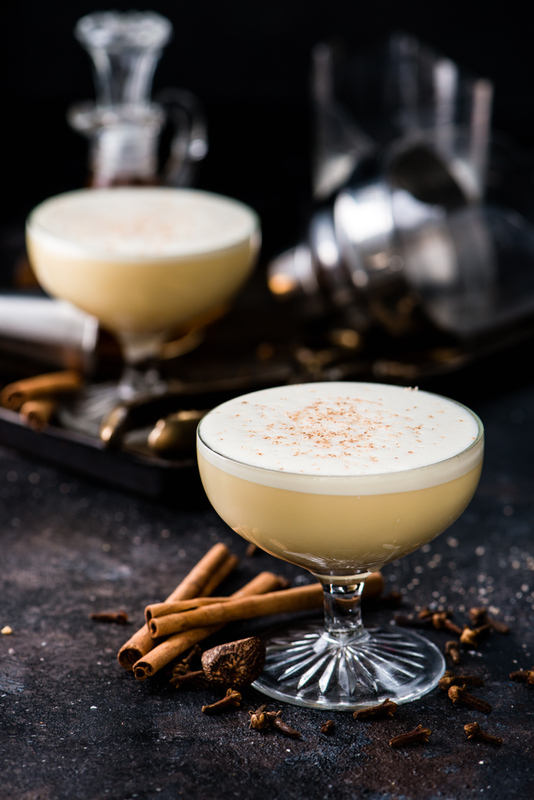 Frothy, smooth, spiced, balanced, and boozy, this version is Christmas holidays in a glass. Of course, as long as there is snow on the ground, There will be egg nog in my glass. Shannon and I made tentative plans for Christmas egg nogs long before snow had fallen. We whipped up a batch of Winter Syrup from a great recipe supplied by our friend & mixologist Chris Cho. After a few “test” cocktails, we were ready for the holidays! Christmas Day arrives and it’s time to start pouring up the nog. Armed with a beautiful new cocktail shaker from our roommate Nathan, we begin whipping up a batch of cocktails. I finish the dry shake and add ice, I could already taste the flavour! Seconds later, I feel glass cracking between my fingers and cocktail spewing everywhere… Our beautiful shaker is now a broken shaker… We take a moment of silence, mourning the loss of our bourbon and the shaker, before quickly moving on to the next bottle and another shaker. Our next batch is a success! Relaxing around the table, perusing new cookbooks, we enjoy the egg nog, followed by mimosas, and followed by more mimosas. It was a very merry Christmas! 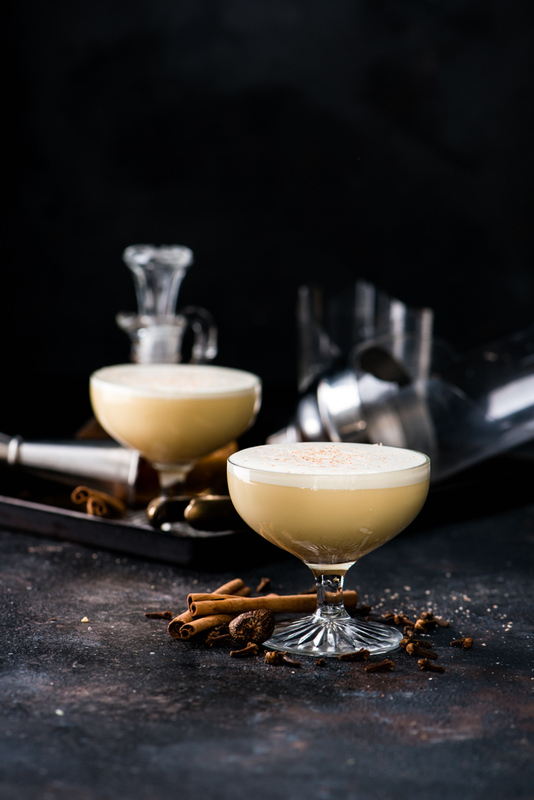 The smooth, warming flavours of bourbon, cinnamon, clove and nutmeg make this Egg Nog the perfect winter cocktail. In a cocktail shaker, add bourbon, egg yolk, milk, and winter syrup. Add ice to cocktail shaker, and shake for about 15 seconds, until chilled. Double strain cocktail into a glass, and grate fresh nutmeg on top. 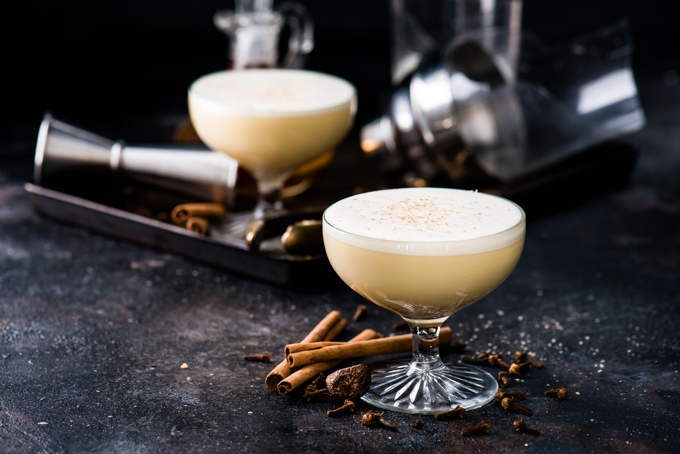 This egg nog cocktail looks SO tasty. And so so perfect for fall/winter! We’re biased, but it’s DELICIOUS!